My first time over at The Prince Restaurant @ 1Mont Kiara Mall, and it was a good one. 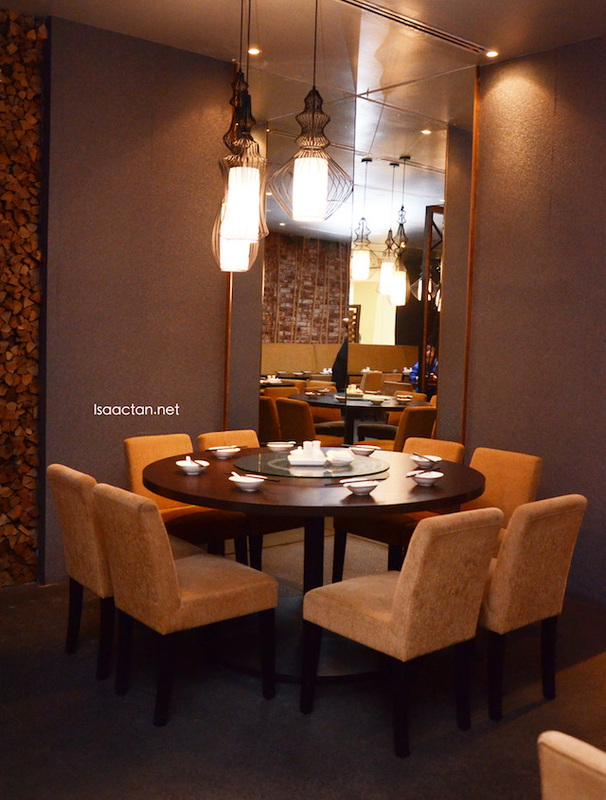 I had the opportunity to dine there last week or so, with a bunch of friends, savouring their modern Chinese cuisine. Check out what we had that evening. 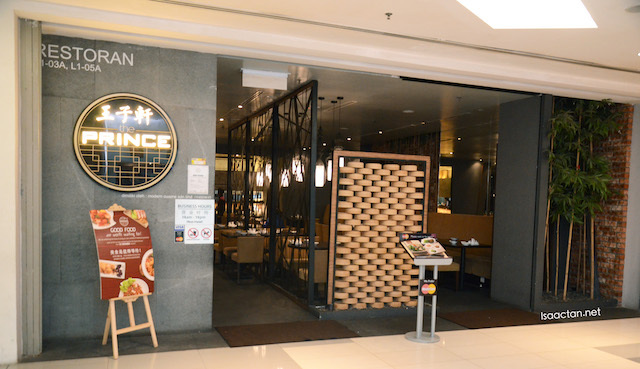 The Prince Restaurant has 3 different outlets in various malls, 1 Mont Kiara, Sunway Giza and Viva Mall. I was at their restaurant in 1 Mont Kiara, and it does look the part, with comfy oriental ambiance and all. We kicked off dinner with this very interesting soup dish, The Prince's Double Boiled Soup with Chicken & Herbs in Coconut. 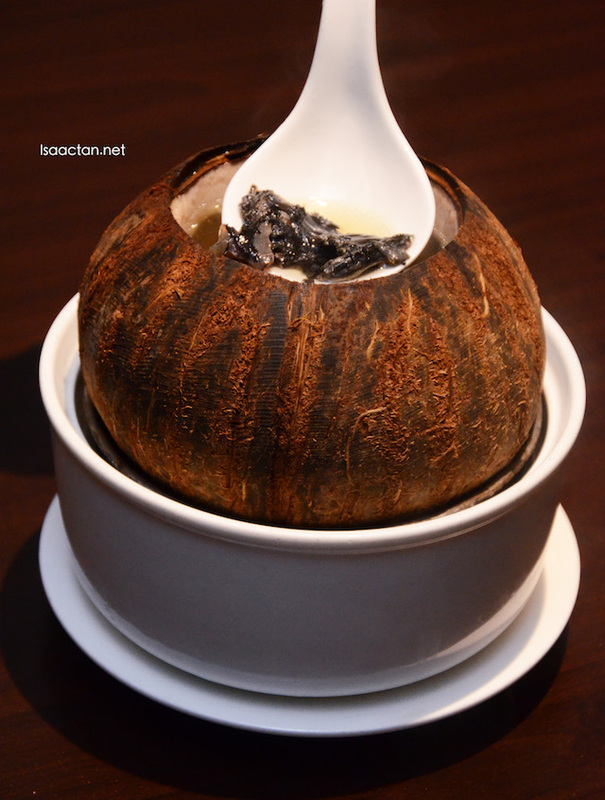 Served in a coconut, the chicken inside was so tender it literally broke apart in the mouth. There's an intense coconut flavour to the soup though, one which I had to get use to. Two distinctly different vegetables dish came next, the Crispy Eggplant and Kailan dish. 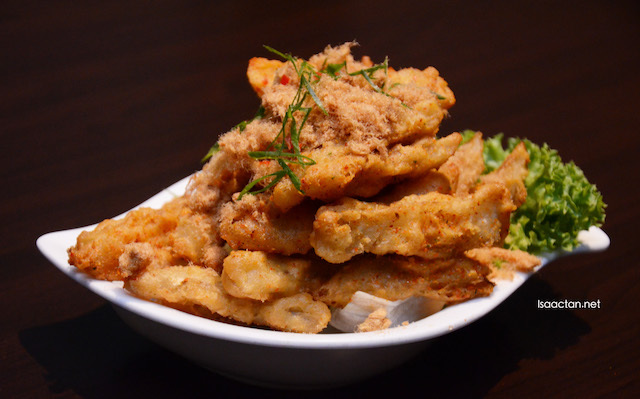 The Crispy Eggplant is deep fried with salt and pepper being the main seasoning. 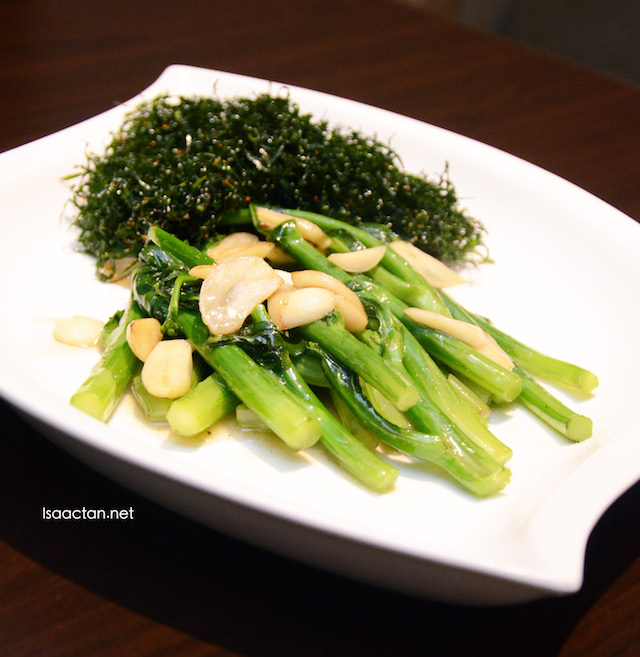 I was intrigued by the 'floss-like' greenery served together with the Kailan Vegetables. It came as a surprise to me when I was told it was actually the kailan stems being chopped up and deep fried to a crisp. Good stuff! 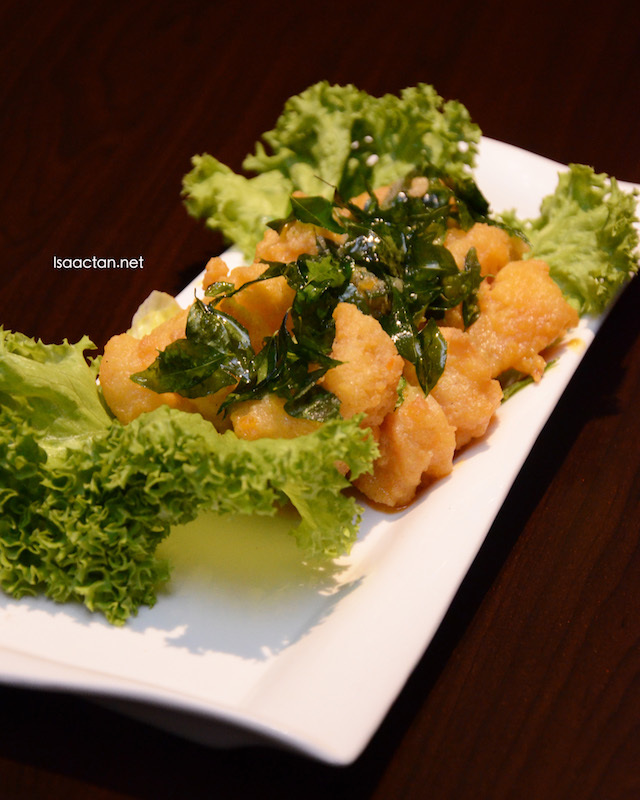 Fresh prawns, stir fried to perfection before being fried with a blend of salted egg yolk. The Stir Fried Prawns with Salted Egg Yolk dish is indeed a tasty one, as I found myself literally picking off the salted egg yolk bits on the plate even after the prawns were gone. Having pork in sweet sour sauce, versus the Pork Belly in Sweet Sour Sauce, is indeed a different experience. I love how the pork belly had these yummy fatty bits which gives out a flavourful bite. Great to be taken with white rice, this has to be my favourite dish at The Prince Restaurant. Another delicious dish from The Prince, Stir Fried Australia Beef Tenderloin & Shimeiji Mushroom with Homemade Sauce has got these very tender beef tenderloin inside. 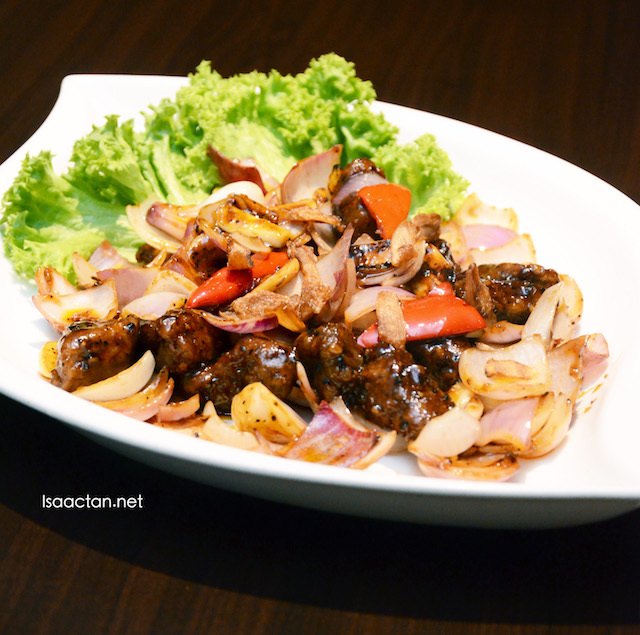 Stir fried in homemade sauce with shimeiji mushrooms, it has a slight spiciness to it due to the chili and pepper. Love the taste and flavour. 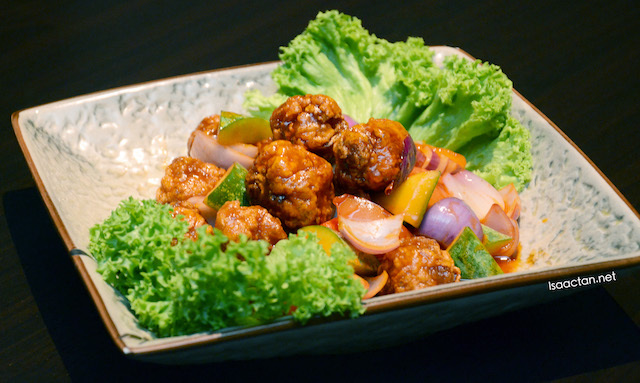 Go for their Braised Homemade Beancurd with Mushroom & Vegetables in Claypot for that happy beancurd taste feeling. 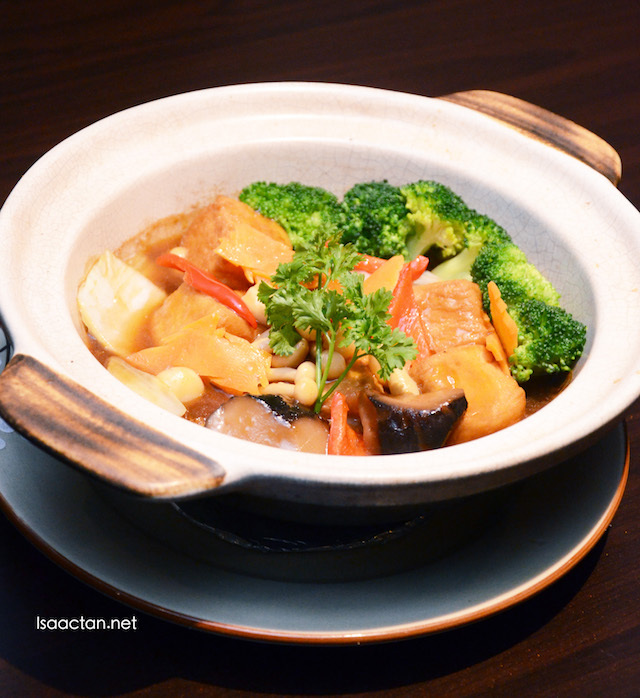 Smooth, flavourful, served in claypot, the bean curd is cooked with a combination of broccoli, tofu, and mushrooms braised in yummy sauce. Full of the wok-hei feeling, we were presented with a plate of really fragrant fried rice. 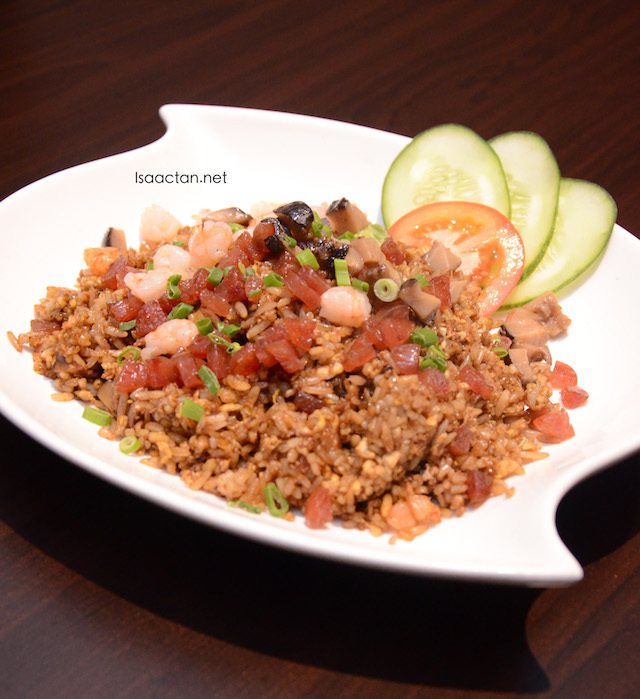 The rice is cooked together with really nice ingredients, Chinese Sausages, mushroom, shrimp and lots of eggs, another must-try dish at The Prince. 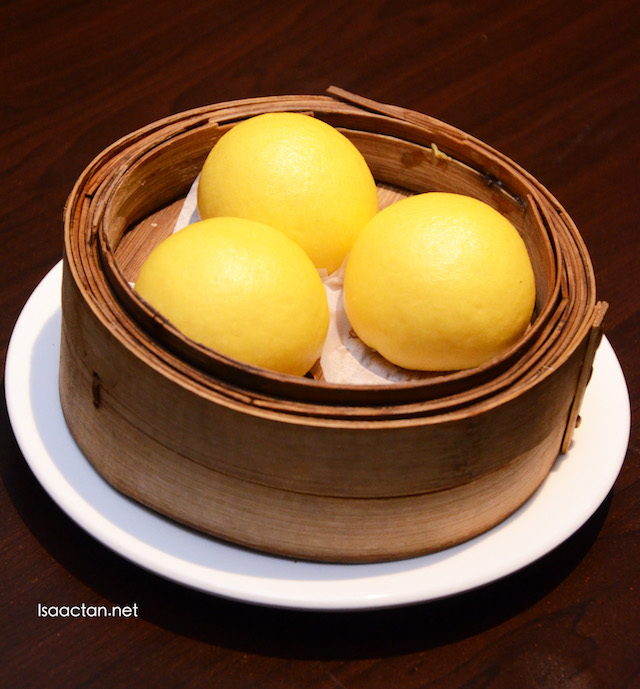 On top of the Chinese cuisine dishes, The Prince Restaurant offers all-day dim sum dining as well. We tried their Custard & Salted Egg Yolk Bun and Shanghainese Steamed Dumpling that evening, both of which comes of as being very palatable. 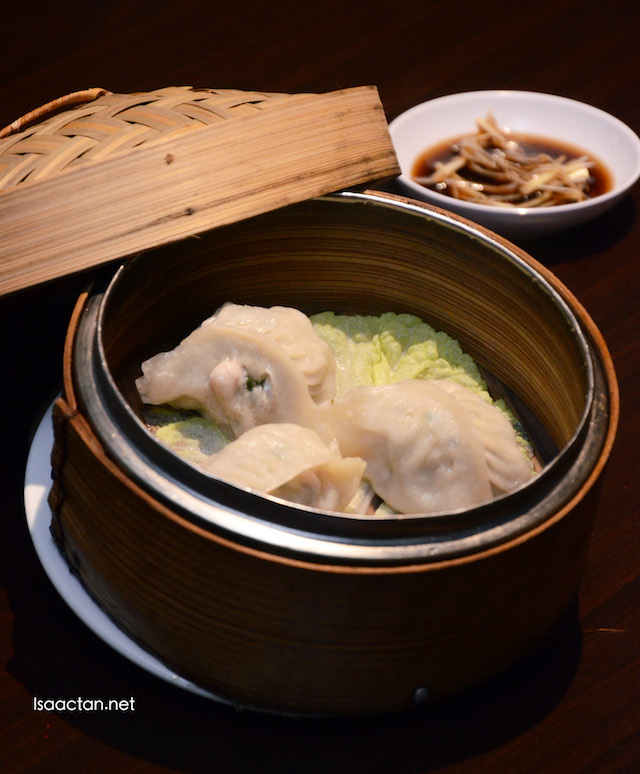 They serve Stir Fried Radish Cake (RM6.80), Baked Bones Porridge (RM4.50) many more delectable dim sum dishes. Do head to The Prince Restaurant at any of their three locations the next time you're in the mood for some nice Chinese cuisine. I love those lamps above the table, very elegant.